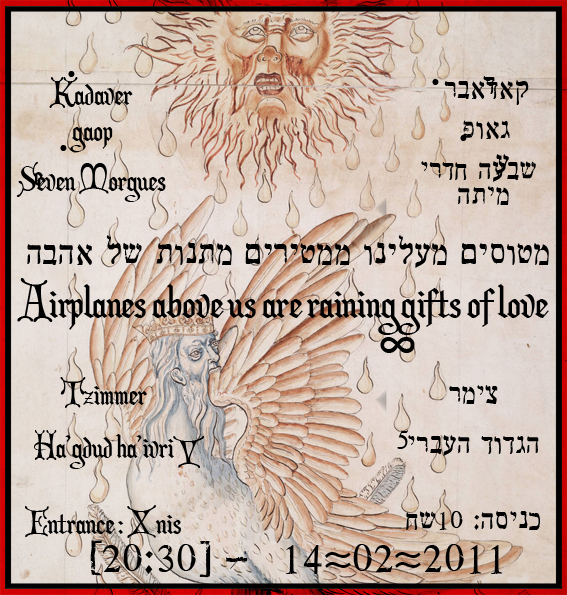 Finkelstein will join the next Kadaver show at The Zimmer (alongside other non-Kadaver collaborators). Also on that night — Gaop and Seven Morgues. Monday, February 14, 20:30 @ The Zimmer!